I know, I know. You’re thinking that Deathwing is dark, gloomy and grey. And you’re right. Totally. But here’s the thing: This is Space Hulk, that’s how it should look. And actually, for a Space Hulk game, there’s a lot of detail and color happening here. It’s just that most of that is included in the enemy and character designs, and not in the surroundings. But that fits too. See, Space Hulks are massive derelicts in the Warhammer 40k universe. They’re amalgamations of star ships, asteroids, and junk. So I guess it’d be fair to say that Space Hulks are kind of space-based landfills. Oh, and one other thing, they’re usually loaded with Genestealers. Hostile, animalistic aliens, Genestealers are bad news. And they come in various flavors of ick too, all of which will try and kill you, all the time. And by ‘you’, I of course mean marines of the Imperium of Man. 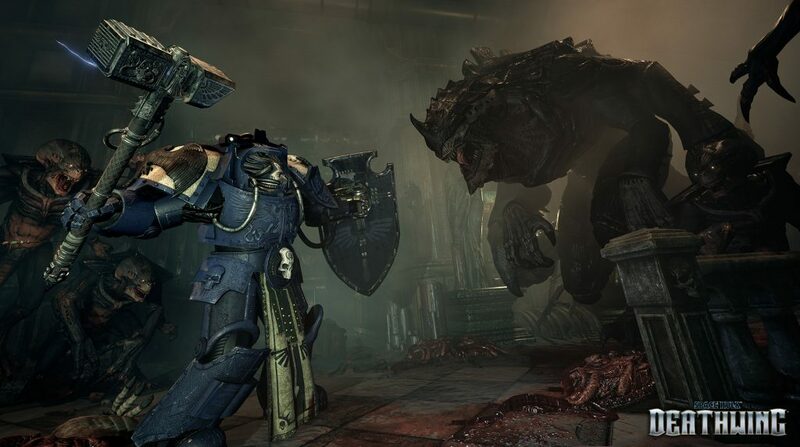 As in past Space Hulk games, you’re trying to take down the infestation of a Hulk by any means necessary in Deathwing. The biggest difference between this game and past editions though, seems to be the emphasis on faster action and truer FPS combat. I’m a big FPS guy to begin with, and a Space Hulk fan as well. So this game scratches a very specific itch as far as I’m concerned. And it looks great doing it. Scroll on down to see what I mean in the gallery. This is the final assortment of screenshots that you’re gonna get too, before the game hits. So uh, soak ’em up while you can. 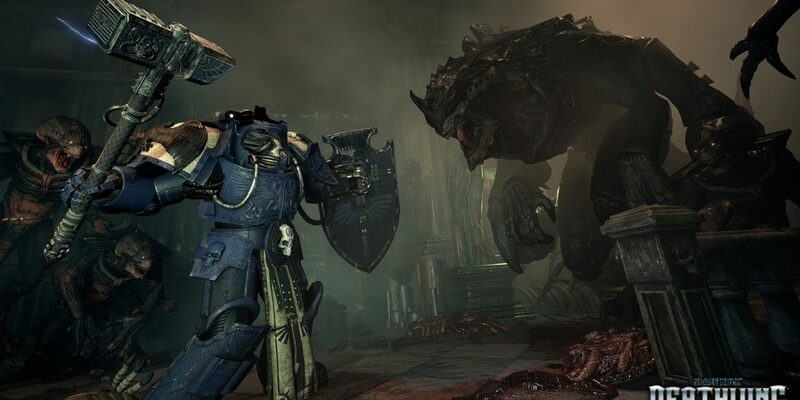 Space Hulk: Detathwing arrives for the PC on December 14th, and on consoles in 2017.